Gorgeous teeth . 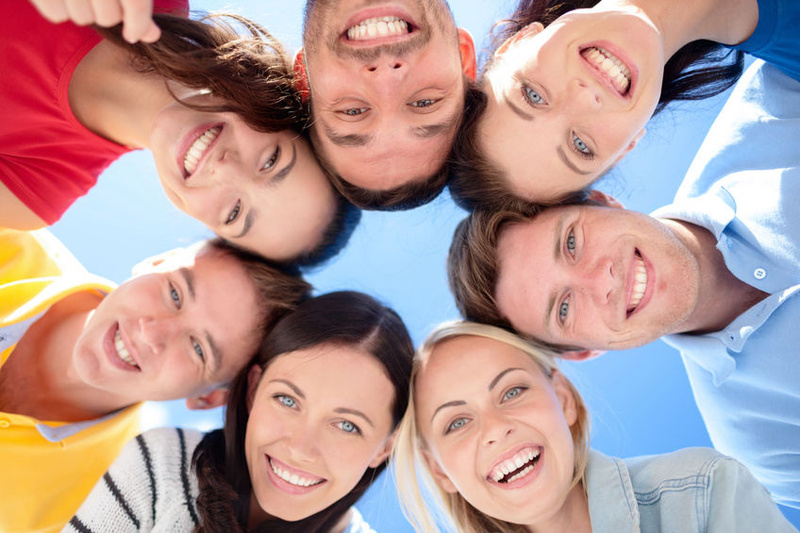 . .
get a digital smile simulation and see how you could look after restorative dentistry! 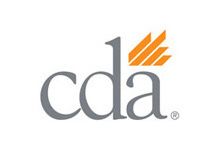 Our state-of-the-art office offers bonding, veneers, porcelain and ceramic crowns as well as CEREC same-day dentistry and complete smile makeovers. 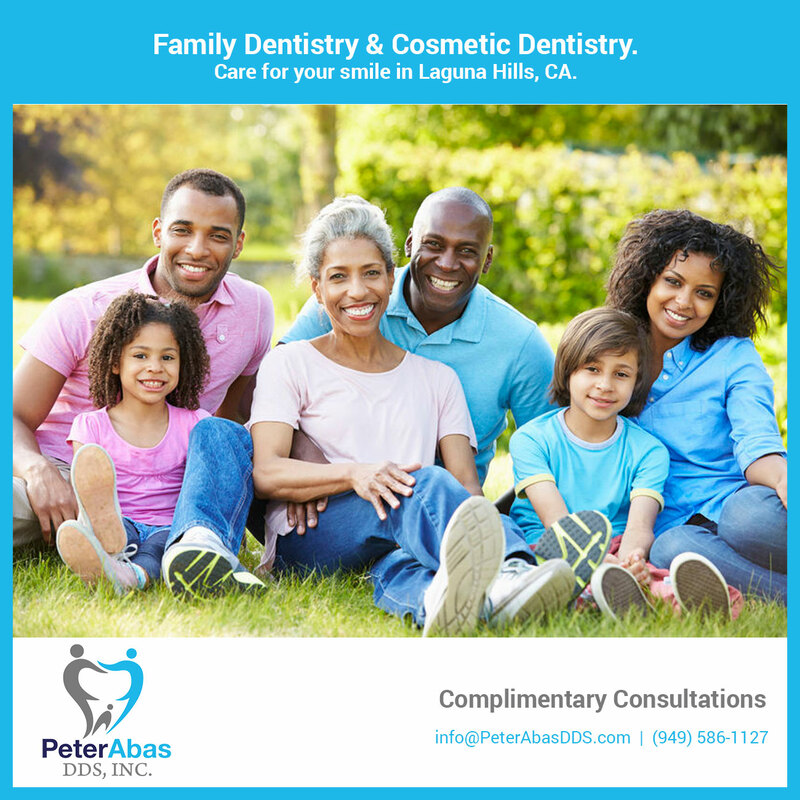 Dr. Abas uses before-and-after simulations and photography and works with master dental laboratory technicians to deliver the most natural and life-changing smiles possible in dentistry today. CEREC uses CAD/CAM (Computer Aided Design/Computer Aided Manufacturing) technology that incorporates a small, hand-held camera and a computer in one instrument, and a milling unit to grind/mill restorations in-house. 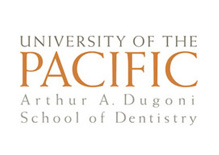 The camera is used to capture the 2D or 3D image of the affected tooth/teeth and the surrounding area. This image is then displayed on a computer screen where the dentist then uses the special CEREC Software to create the perfect restorative tooth/teeth. Once the virtual restoration is created, the information is then sent to the milling unit via software and milled onsite within 8-10 minutes. When you have a tooth or teeth that are missing some structure due to fractures, decay or grinding wear, or you lost a tooth, you can strengthen them with crowns or replace them with implants or bridges. A crown is for an individual tooth. 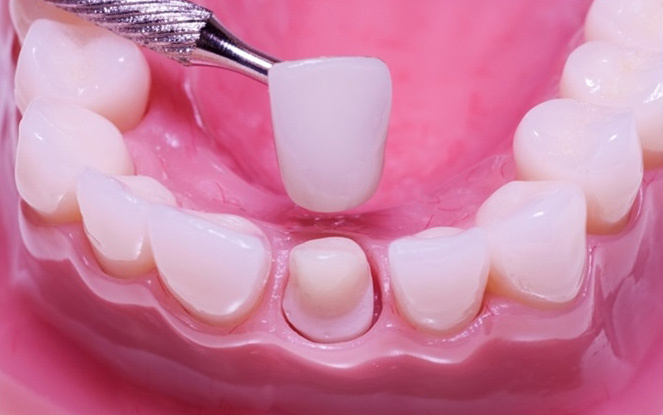 A bridge is done to replace 1 missing tooth using two adjacent teeth as a support. An implant replaces one tooth without compromising its adjacent teeth. A crown (“cap”) is a covering placed over a tooth. Crowns serve many functions, such as strengthening, restoring and improving the appearance of your tooth. A crown covers the tooth when there is no longer sufficient structure left to place a filling. Crowns may also be used to protect the structure of a tooth that is fractured or broken and can be attached to bridges or dentures. Crowns and bridges can be made of porcelain, metal or porcelain fused to metal. I recommend all porcelain crowns and bridges since we are a mercury-free dental office. Dental porcelain can be sculpted to closely replicate the look of natural tooth enamel while providing desirable strength and resilience. They are more biocompatible and there is no need for metals in your mouth. Partial crowns often referred to as on-lays, are a type of restoration or filling that covers one or more cusps. An inlay is similar to a filling but the work resides completely within the cusps on a tooth’s chewing surface. These restorations are much more conservative than crowns and can be imperceptible from your natural tooth. 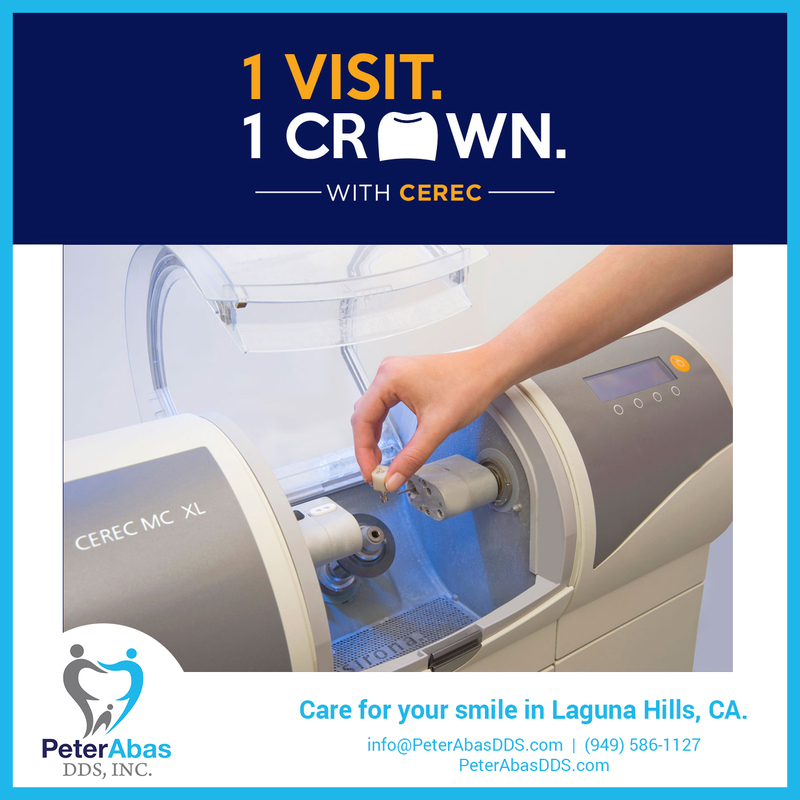 These “partial crowns” can be done the same day using our in-office technology. Beautiful, white teeth give you confidence, make you look younger, and even open up new social, romantic, and work opportunities. Our Whitening Gel is a premier prescribed home teeth-bleaching system. Your smile is one of the first things people notice about you, so wanting to keep that smile as bright as possible is something many people strive for. Prescription whitening gels should always be used under the care of a dental professional. If proper safety procedures are followed, prescription whitening gel is a safe and effective method for whitening teeth. 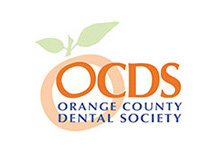 Come on in and discuss with Dr. Abas and his team your best options for a beautiful smile. As with any medical procedure, there are possible risks and side effects when using Botox for TMJ treatment. Since this is a non-surgical treatment procedure, the risks and possible complications are infrequent, minimal and temporary. The most common reported side-effects of Botulinum Toxin treatment are headaches, respiratory infection, flu syndrome, temporary eyelid droop, and nausea. Less commonly reported effects of Botulinum Toxin are pain, redness at spot of injection, and muscle weakness. These symptoms are thought to be connected with the Botulinum Toxin injection and occur within the first week. There could also be bruising at the injection site. The lips are used more than the forehead for common activities such as chewing, kissing, and talking. Therefore Botulinum Toxin injections around the mouth are less useful in TMJ treatment and can have more potential inconvenient effects. These everyday activities may become more difficult and too much Botox® around the mouth can result in drooling. Another limitation to Botox® injection for TMJ treatments is that there is a possibility of developing antibodies that would render the TMJ treatments less and less effective over time. This resistance could be delayed by using the lowest effective dose possible over the longest intervals of time. Botox injection treatments should be avoided during pregnancy and lactation. Disclaimer: Botox and other skin care information contained on this website is provided for educational purposes and should not be taken as medical advice. To consult with one of our trained members, please contact one of our trained members today.